The Remodeled Life: Giveaway Winner! We have a winner! 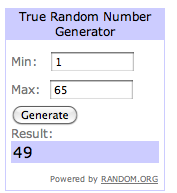 Number 49 - Simple Fragments - congratulations! I will be emailing you soon with some details. Thanks so much to everyone who participated! We will host another giveaway soon.